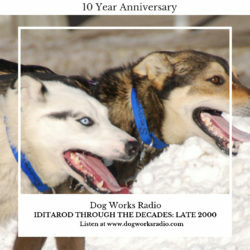 Join host Alex Stein as he presents Iditarod Through the Decades on Mushing Radio. On this episode, the late 2000s. The the second decade of the new century was a time for dynasties. In the National Football League it was the New England Patriots. Way up north, in Alaska, it was The Seavey’s and Lance Mackey.